Tuberculosis (TB) represents one of the classic diseases where combinations of drugs are the cornerstone of therapy. The effective treatment of TB requires the use of multiple agents to avoid the development of resistance, so the prevailing attitude toward polypharmacy in this context is positive (1). However, because patients with TB are often infected with other pathogens, especially HIV, we must reevaluate the potential negative consequences of polypharmacy. 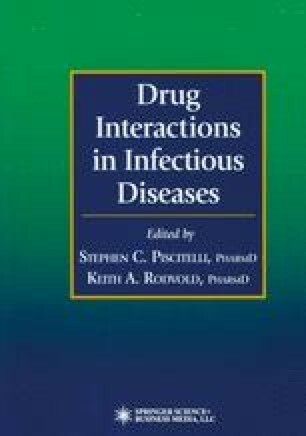 This chapter will assess the risk for drug interactions in patients with TB, including drug—drug interactions, drug—food interactions, and interactions associated with overlapping adverse effects.